Every act of leadership is an act of service. Anything less is exploitation. The higher you go, the more people you get to serve. People aren’t in organizations to serve leaders. Leaders are in organizations to serve people. Weak leaders expect service; strong leaders give it. Self-importance ignites fear in servant-leaders. Under-appreciation. Others seldom understand the depth of your service. Neglect. If you serve others, who serves you? The shadows. Being overshadowed and forgotten by those you put in the spotlight. Minimization. If you don’t grab the trappings of leadership won’t you appear weak? Dependence. How can you put your future in the performance of others? Self-importance prevents you from serving. Get down in the dirt and put the ANT in serve. Become a servANT-leader. Think like a waiter or waitress. Put the interests of others ahead of your own. Commit to create a great experience for others. Anticipate needs. Meet needs without being asked. Clear. Get stuff out of the way without getting in the way. Express gratitude for the opportunity to serve. Life matters most to those who give the most. No one knows you’re serious until you deal with violators. Demonstrate commitment to servant-leadership by dealing promptly and firmly with violators. You get what you tolerate. Make it safe to serve. Create a serving-culture. Create, protect, and nurture servant-culture in your organization. Honor and promote servants. Correct, marginalize, and expel bullies, abusers, and drifters. The leader who serves the most wins. What does servant-leadership look like to you? Learn to create a servant-culture by reading “The Culture Engine” by S. Chris Edomonds. Leave a comment on yesterday’s post for a chance to win one of twenty copies. Thanks Jewel. I think we worry too much about the perfect opportunity and too little about just getting busy where we are. This is probably one of the biggest underutilized and misunderstood aspects of leadership in ‘old-guard’ companies that I’ve seen. I have been in an organization where the big group meetings are called ‘pyramid’ meetings, which to me just reinforce the whole concept of serving the leaders that are highest in the pyramid. I find much more success in being that servant leader to help the people that are doing the real work get it done and feel accomplished and appreciated when doing so. Thanks Jim. In servant-leadership the pyramid is upside down. 🙂 The old guard may come to realize that taking power makes others feel powerless. We should just ask ourselves, who goes further the powerless or the powerful. The servant leader uses power wisely for the advancement of the organization’s purpose, with love, commitment and fierce passion for the well-being of its members and those who profit from its goods and services. He/she is a master of influence, but for the right reasons. He/she generally commands respect and loyalty, but does not seek it, preferring to do what is right even if it is unpopular. In the old film “White Christmas” there is a scene where members of the army sing a rousing, “because we love him” song to a retiring general, who despite his gruffness cares greatly for their well-being, in contrast to his hated replacement who seeks only personal glory. We would do well to emulate that old general. Thanks Marc. We watch “White Christmas” at least once every Christmas season! Your comment reminds me that serving isn’t about being weak. 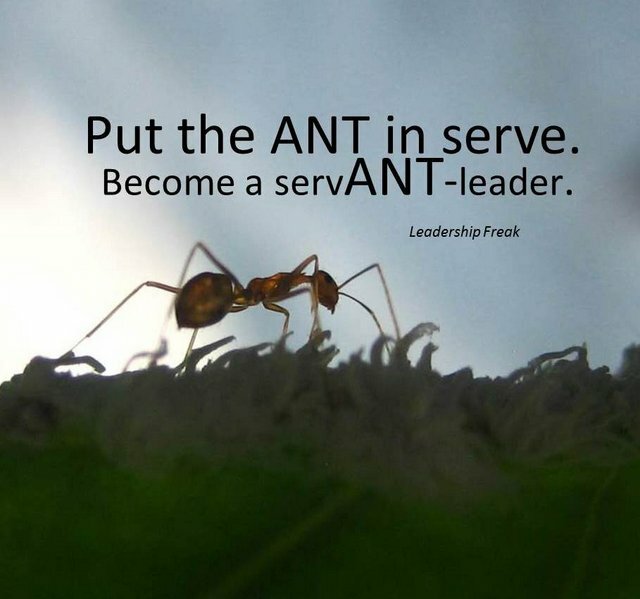 This is wonderful… I love the subversive and confronting term “servant leader”… great post. Thanks Matthew. The term servant is first. Leader comes second. The fears that you have mentioned about being a servant-leader are so true. These have been lurking in me for a long time. Thank you for bringing them to the fore. I am inspired by this piece of yours to dispel them and move forward. Thank you once again. Brilliant!!! Will read the book you recommed. Already have read THE SECRET, it’s very helpfull in understanding this concept, already taking it into action. At first, whe I saw this post, I thought you were refering to the secret, it’s the same idea. It’s a paradigm change to what we have been thought… Thanks for sharing. William Wallace: “There’s a difference between us. You think the people of this country exist to provide you with position. I think your position exists to provide those people with freedom. And I go to make sure that they have it.” I love this quote for it gets to the heart of leadership. It is about others. Jesus said regarding his kingdom, if you want to be great, become servant of all. As a pastor and teacher I can’t be reminded of this enough. Thanks, Dan. Hey Dan, so well said. Your post reminds of the the leader who I work with.. She is such an inspiration to me she has the 7 behaviors of servANT-leaders…Thanks you pointed it out which I can adapt to be servANT leader. Was curious, why did you use the example of ANT? to symbolize the service? Thanks Abraham. I chose ant after I saw the word in servant. It fits because ants work hard, don’t need to be told what to do, and are small. Give me a small, hardworking leader with initiative any day, over a puffed-up gas bag. BTW, I really enjoyed yesterdays blog. It inspired alot of insightful comments from your readers. As a leader climbs the ladder, they become responsible to more departments, more subordinate’s, and larger than life bosses that exspect rersults. Managers simply try to maintain systems,follow protocal, while keeping their organization on a steady even keel. Leaders on the other hand, are visionaries who see the potential in their people. Effective leaders allow their ‘walk’, (NOT their talk), to inspire others to do and be their best. Humility and servanthood is the fundamental, non-negotiable characteristic I look for and expect of anyone who will be promoted to a leadership position in our organization. Shepherd leadership reminds me of Psalms 23. The good shepherd ensures his sheep don’t want, have abundance (green pastures), peace (still waters), are calm (soul restore), do what iis right as his followers (for his name’s sake). He accompanies the follower through tough spots (valley of the shadow of death), not only defends from enemies but ensures resources (sets a table), provides hope of goodness, mercy, and no end to his support and companionship. While human leaders cannot do all of that, the Good Shepherd provides a strong model of the ideal leading companion. That’s good to hear, Jeromey. Humility in yourself and Respect for others are two traits often missing from those in leadership positions. I find that many get in those roles because of how they drive to results, but often leaving wreckage in their wake. I’ve only left two jobs; both because of managers; and both because they truly lacked those qualities. Looking inward (or maybe even backward) or looking out and ahead…you are looking inward if it is all about you…not being appreciated, minimized, being a shadowlord. If you are looking outward, you are clearing a path, not the path, but a path, and not everything on the path needs to be cleared. You are looking ahead to who will raise the flag and lead on when you are gone, so you are anticipating. The waiter/waitress analogy does work well Dan. Max also spoke eloquently about Leadership as Jazz and as Art. The musical frame of reference works well. The leader assembles the right players, makes sure the music is right, the stage is set, then gets out of the way and lets the musicians do their craft. So very true!! Most leaders have no clue how to serve the people that actually execute the work and ultimately lead to thier success or failure. A wise old man told me… “Surround yourself with talent and then let them do thier work”. Being a facilitator/servant leader is the most rewarding way to lead. We all win or fail together and it always make the team stronger! Thanks for the helpful reminder. Ah … the servANT leader. Are these types of leaders common in today’s workplace? Probably in some … I bet you could correlate the success of a business with the number of servANT leaders in a workplace. Brilliant truism. I think that pearl deserves its own post. Really exploring the best strategies for fostering open dialogue and exchange of ideas yet holding people accountable successfully and with diplomacy.